GoodGym | Want a place at the London marathon 2019? Want a place at the London marathon 2019? The GoodGym Race Team are offering two places at next year's event. Missed out in the ballot? 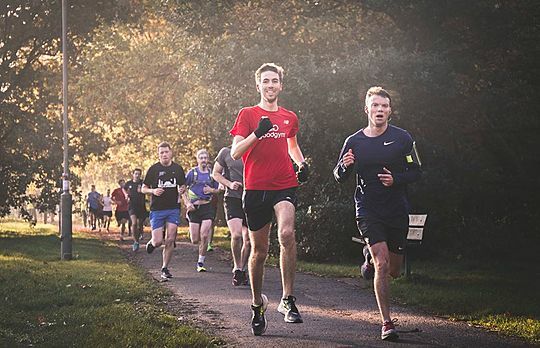 Secure your starting number in 2019 by taking part in the GoodGym Race Team marathon good deed challenge. For each good deed you do in December, you’ll be allocated one entry in the draw - so as long as you do one good deed, you’re in with a chance. The more good deeds you do, the better your chances. As they're club places, they're only open to race team members. To be eligible, race team members need to put their name on this list by the 31st December. If you’re one of the lucky ones who’s successful in gaining a place, you will be notified by early January via email. Each winner will receive one guaranteed race entry to take part in the 2019 Virgin Money London Marathon, which will be held on Sunday 28 April 2019. Please note that if you win a guaranteed race entry, you will still be required to pay the UK entry fee. Are you still deciding whether to take part or not? Read Remy’s story on running her first marathon here.